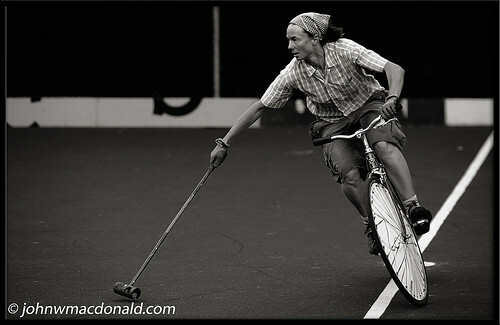 Bike Polo - Jen Books, originally uploaded by johnwmacdonald. Ottawa's Jen Books at the 2008 North Side Polo Invitational in Ottawa's Little Italy. Go for the polo stay for the sandwiches at DiRienzo's.